A Girl and A Gun Women’s Shooting League is a ladies only organization established by women shooters for women in the pistol, rifle and shotgun sports! The league is designed to take beginners to whatever skill level they wish to achieve and provide experienced shooters with more opportunities. The objective of some women is to improve their skill levels for target and/or competitive shooting. While others, who want to improve their skills, are also interested in the aspects of self-defense. The Cypress Chapter meets the second Tuesday of every month from 5:30 – 7:30 p.m. at the pistol range at HW Gun Range. 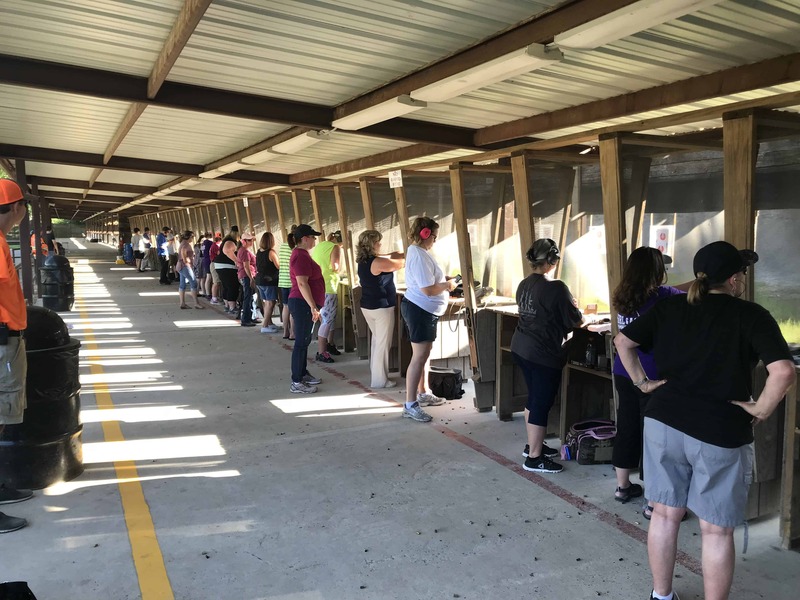 We are offering a Breakfast & Bullets monthly shooting event and social sponsored by HW Range and Cypress Chapter of A Girl and A Gun Women’s Shooting League (AG&AG). Join us on the fourth Friday of every month from 9:00-11:00 AM on the pistol range. Unsupported (standing) rifle shooting is welcome as well as shotgun with 00buck or slug rounds. The range fee is approx. $7.39 for members. Non-members pay full price range fees. Bring your pistol, eye and ear protection and get ready to have a good time. For more information contact Tammy Hunter.